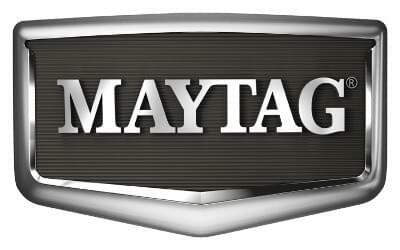 Maytag makes some fine products. However, like anything else sometimes things happen and appliances break or malfunction. Maytag washer repair in San Gabriel is available to anyone needing assistance with their Maytag washer. We not only serve San Gabriel but we serve other surrounding areas including Pasadena, South Pasadena, San Marino and Arcadia. In addition, our service department will also service areas such as Flintridge La Canada, Altadena and Alhambra. We will even come out on weekends to repair your appliance. We are proud of our strong customer service efforts to keep customers happy and keep your Maytag washer running efficiently. Our service team stocks a large inventory of replacement parts including special replacement belts. All Maytag washer replacement parts are easily identified by part number. Parts such as a bearing, agitator cap and fuse are easy to replace and technician almost always have those kinds of parts handy most of the time. However, something such as a control panel may have to be special ordered. If your Maytag washer needs a new dose dispenser this can be replaced fairly quickly by one of our trained repairman. A dose dispenser helps to regulate the amount of detergent and fabric softener that is needed for each load of wash. Therefore, the dose dispenser actually saves money on the end. This tiny dispenser helps eliminate waste. Some replacement parts are covered under warranty. For example, the drive motor basket is almost always covered under the warranty. Therefore, replacing the drive motor basket on your washing machine should not cost you anything out of pocket. If your Maytag appliance needs a part that is not in stock we promise to have the part that you need as quickly as possible. Service Masters Appliance has built a reputation based on providing prompt and highly efficient service. Service Masters Appliance can be reached by calling (626)-381-9899. We understand what it is like for a major appliance such as a washer to break down especially when you are in the middle of washing multiple loads if wash.
A washer that suddenly malfunctions can cause absolute panic within the home. It can set you back a great deal. There is nothing worse then if a washer breaks and you don’t have any clean clothing to put on. That is why it is important to remember our company name at all times. We serve the zip codes of 91001, 91003, 91801, 91802, 91803, 91804, 91896, 91899, 91006, 91007, 91066, 91077, 91011, 91012, 91101, 91102, 91103, 91104, 91105, 91106, 91107, 91109, 91110, 91114, 91115, 91116, 91117, 91121, 91123, 91124, 91125, 91126, 91129, 91182, 91184, 91185, 91188, 91189, 91199, 91030, 91031, 91108, 91118.